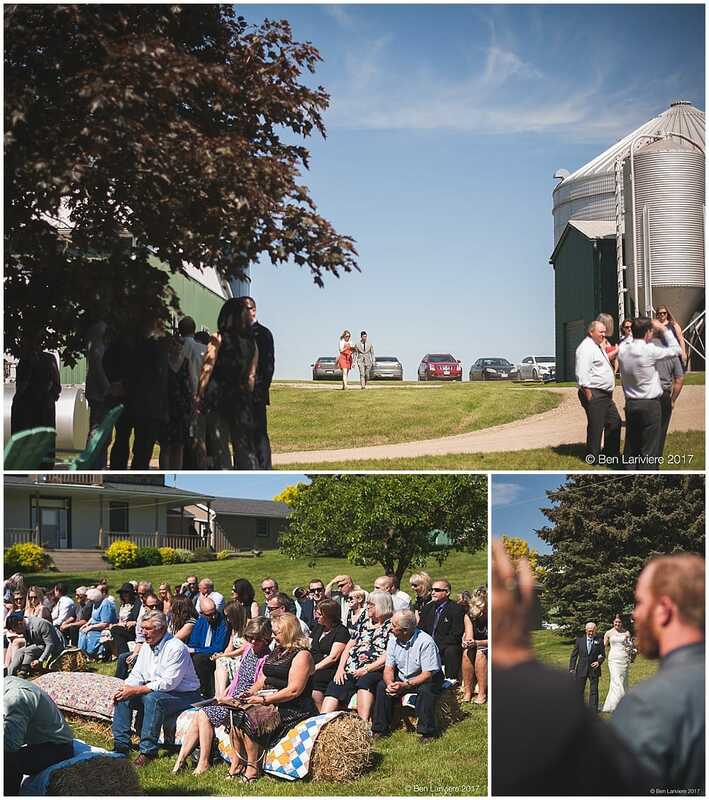 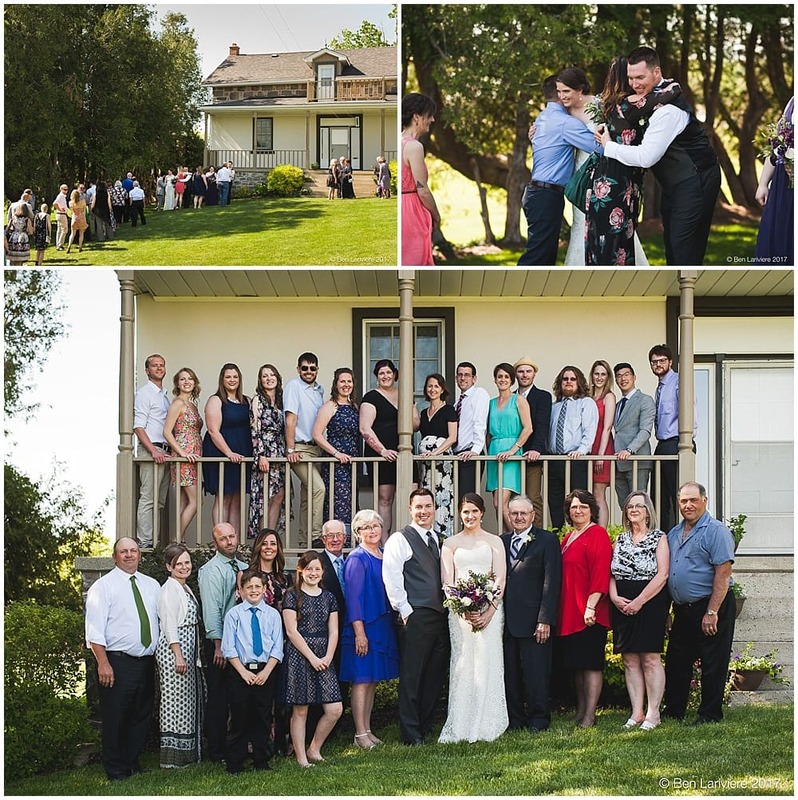 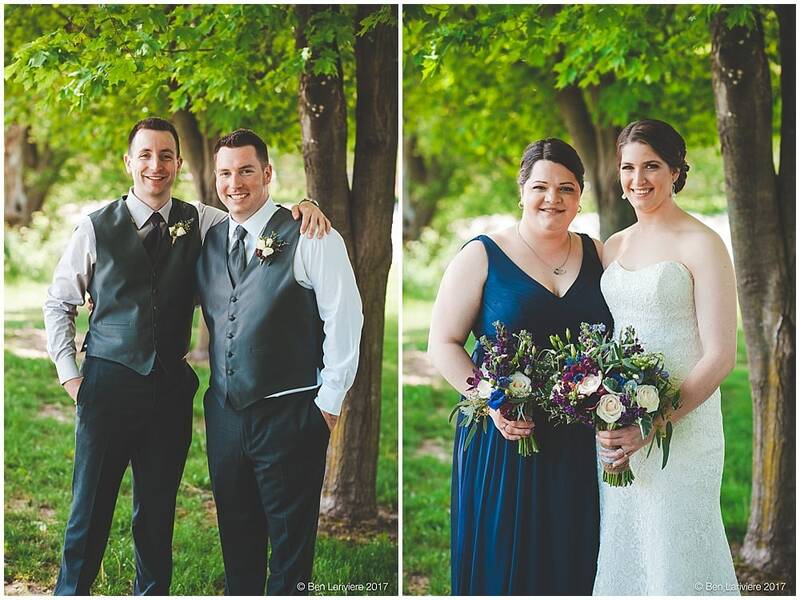 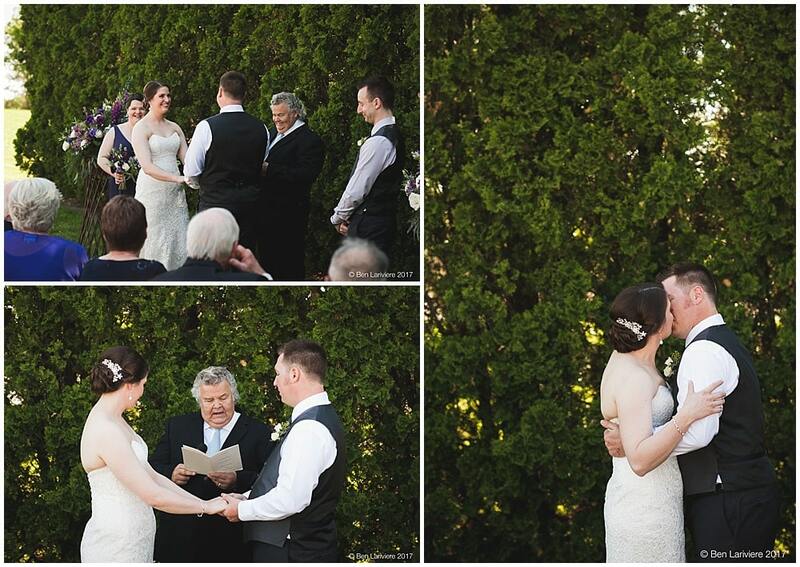 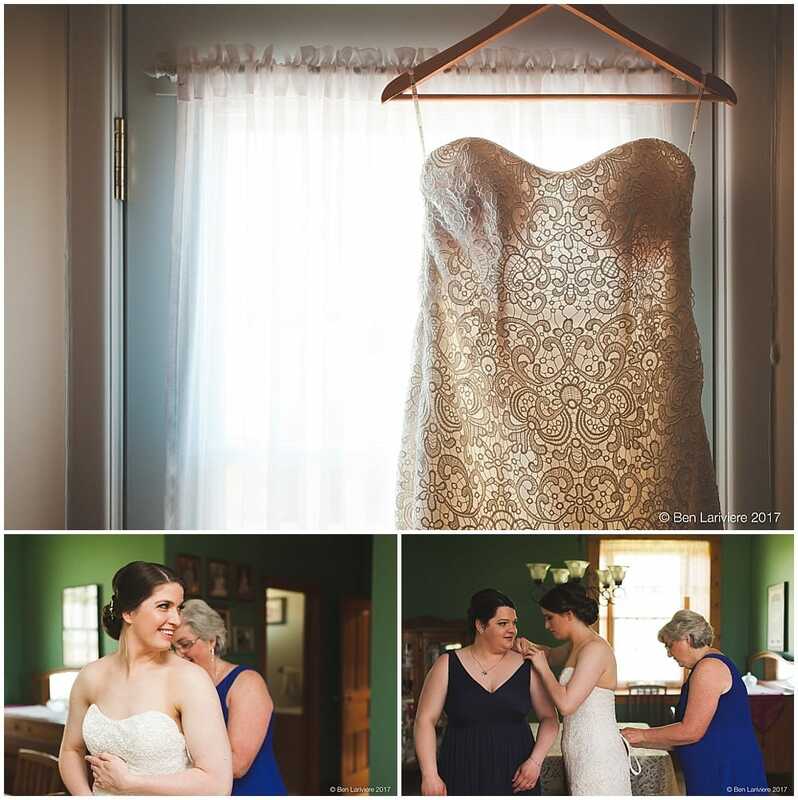 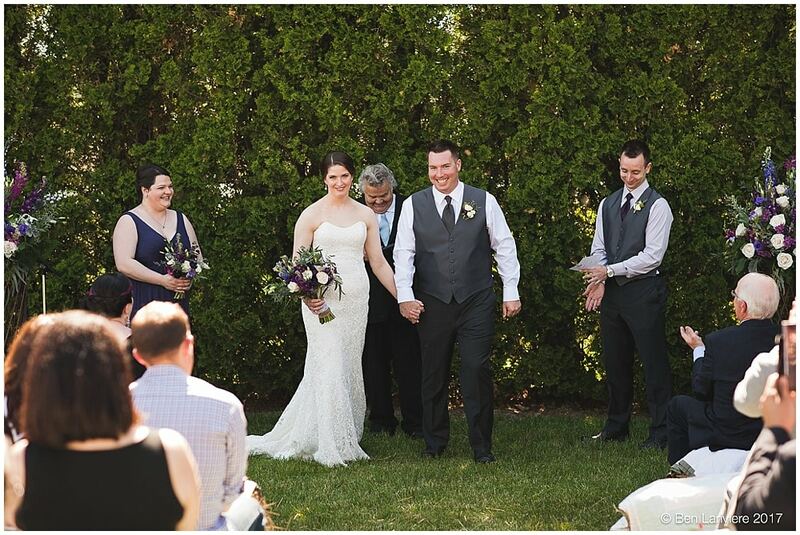 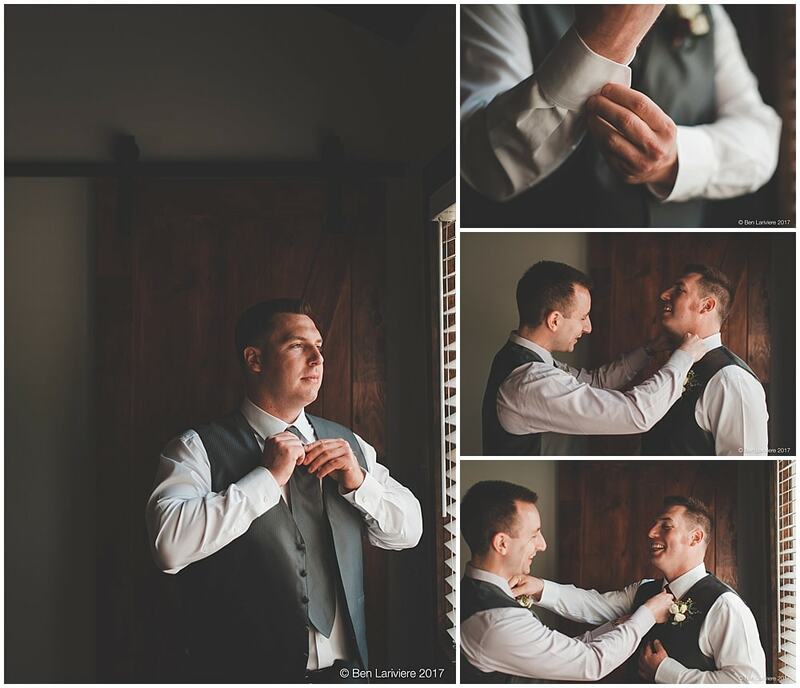 Becky & Wyatt decided to have a wedding that was close to home – in fact, their outdoor wedding took place on a warm, sunny day at Becky’s family farm in the small town of Plattsville, near Stratford, ON. 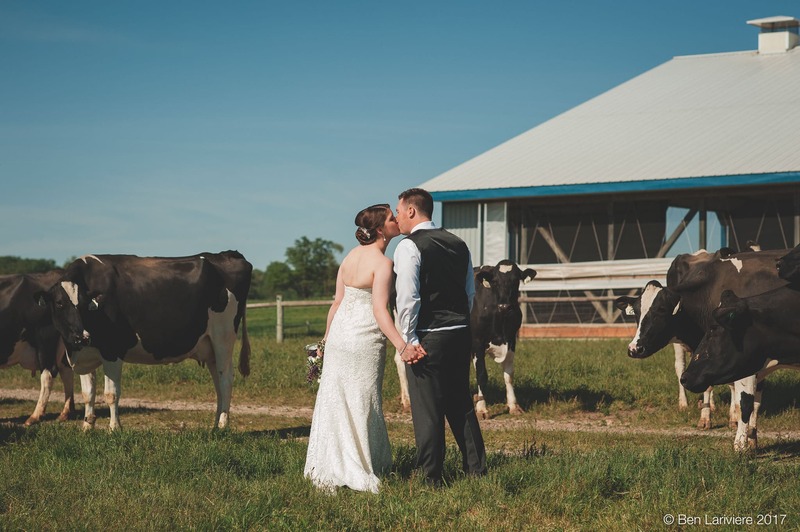 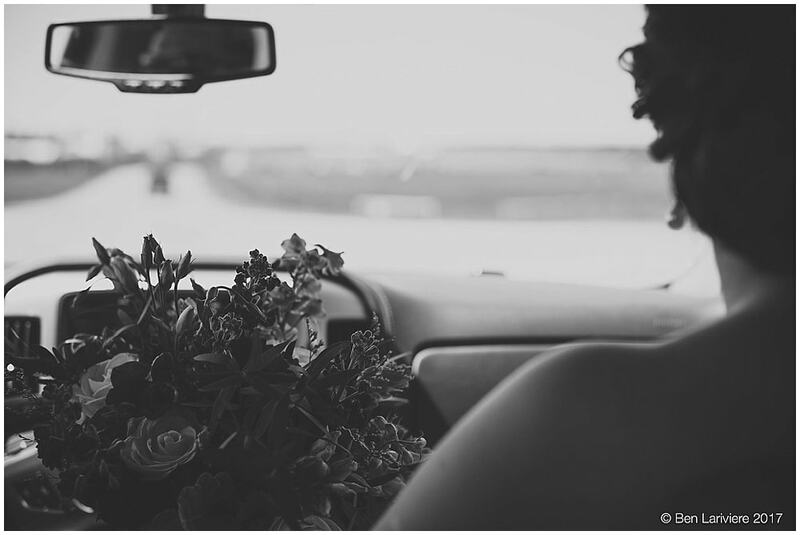 The couple had a ‘first look’ on the property, before taking a trip to a few other locations for photos with their maid of honour and best man. 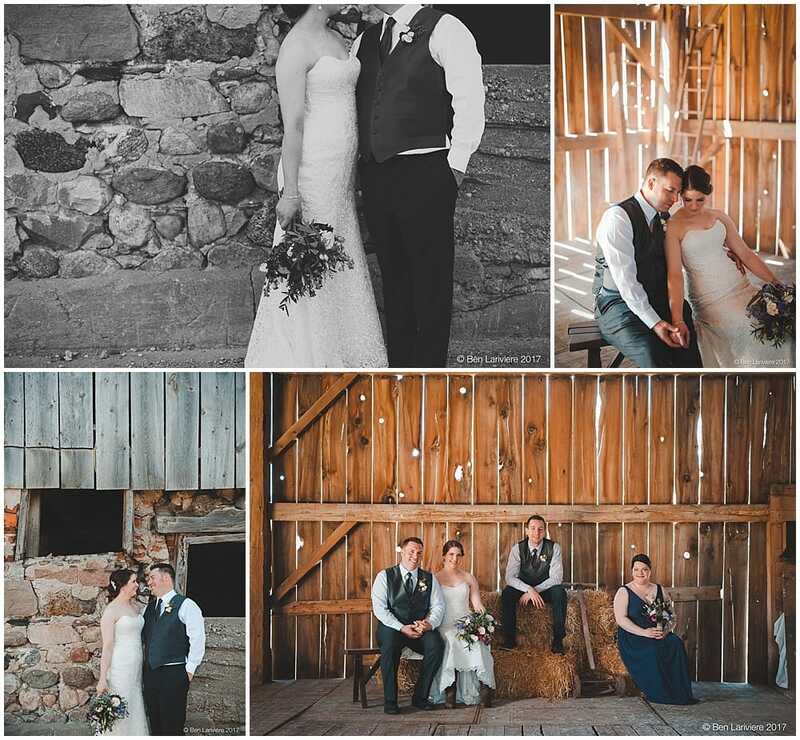 We first headed to Becky & Wyatt’s brand new home, before stopping at a relative’s farm for some photos inside a rustic, wooden barn. 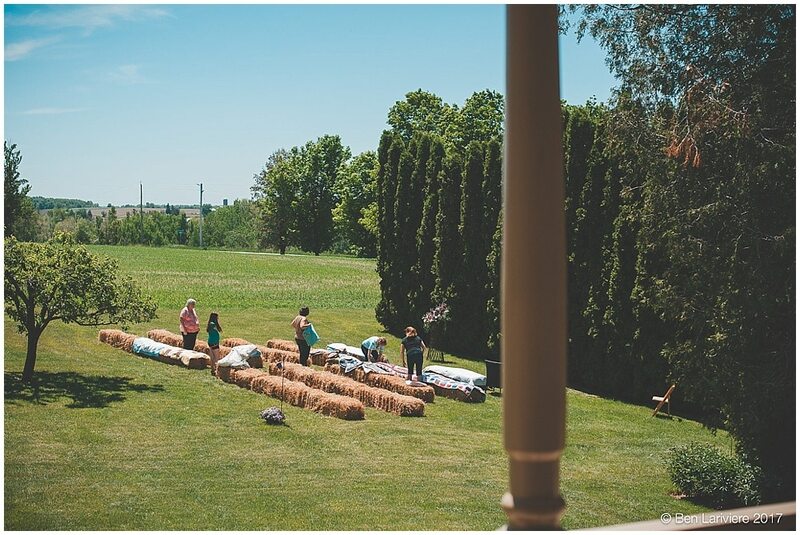 We returned to the family farm as guests were arriving for the outdoor wedding ceremony, on the lawn next to the farm house, with hay bales for seating. 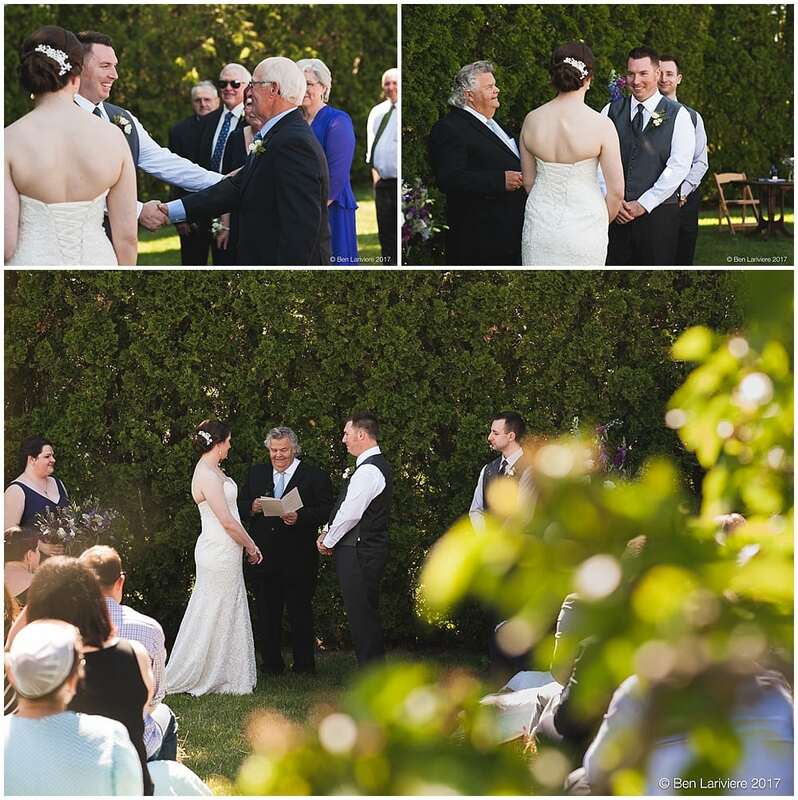 Immediately after the ceremony, a receiving line began next to the house, followed by family photos. 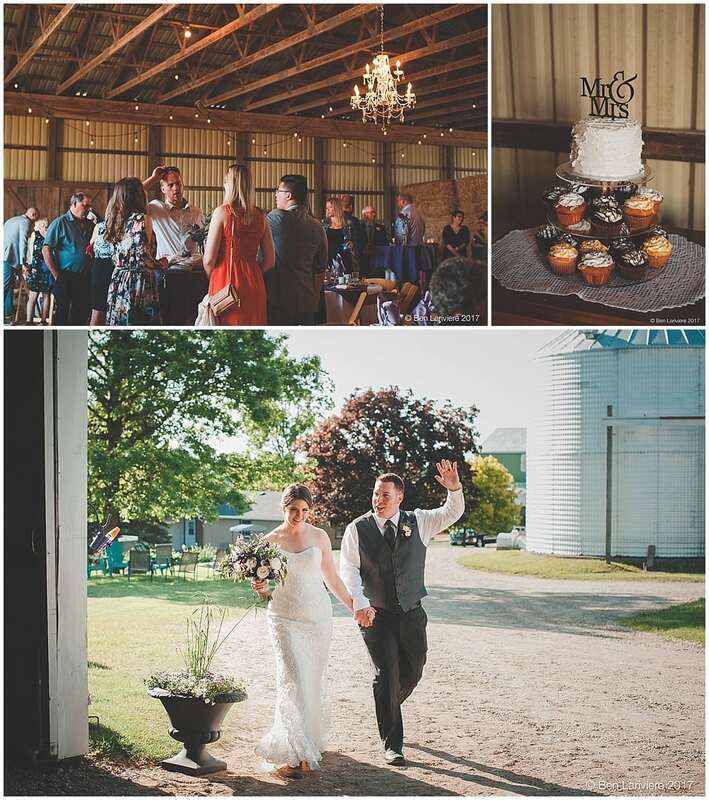 Before the reception, I took another short trip with Becky & Wyatt, and their wedding party to the dairy farm where Becky works, to hang out with her bovine coworkers. 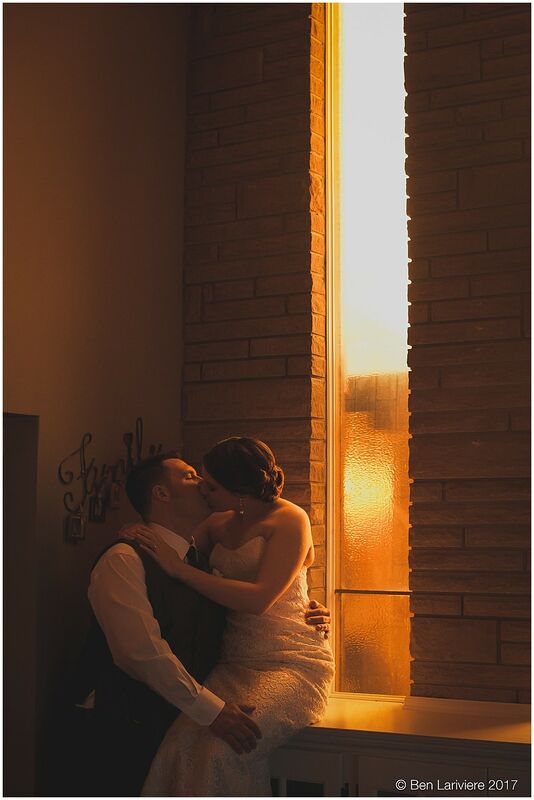 This was the first time I had to make sure to not step my dress shoes into a cow patty while shooting wedding photos. 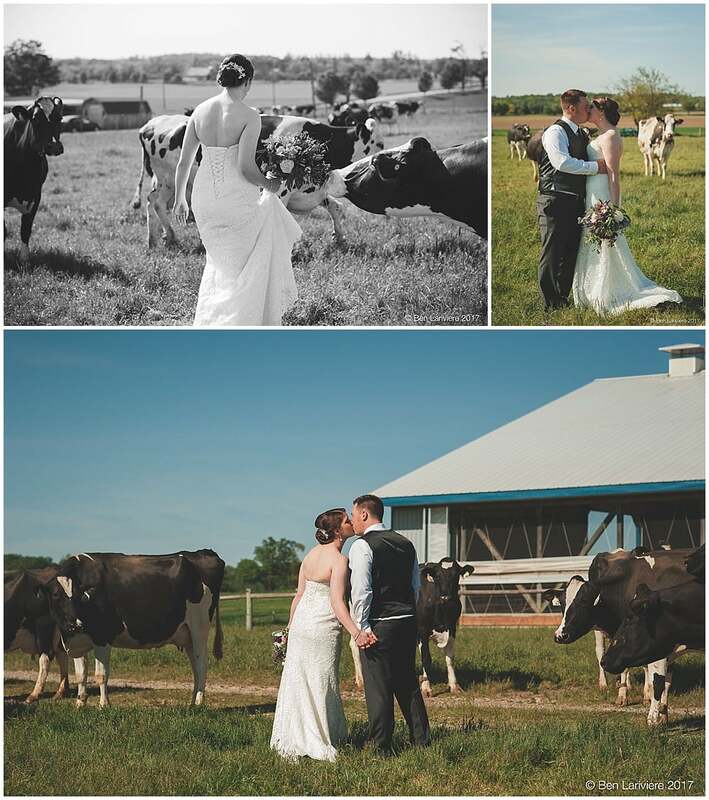 We also took a few photos with a newborn calf. 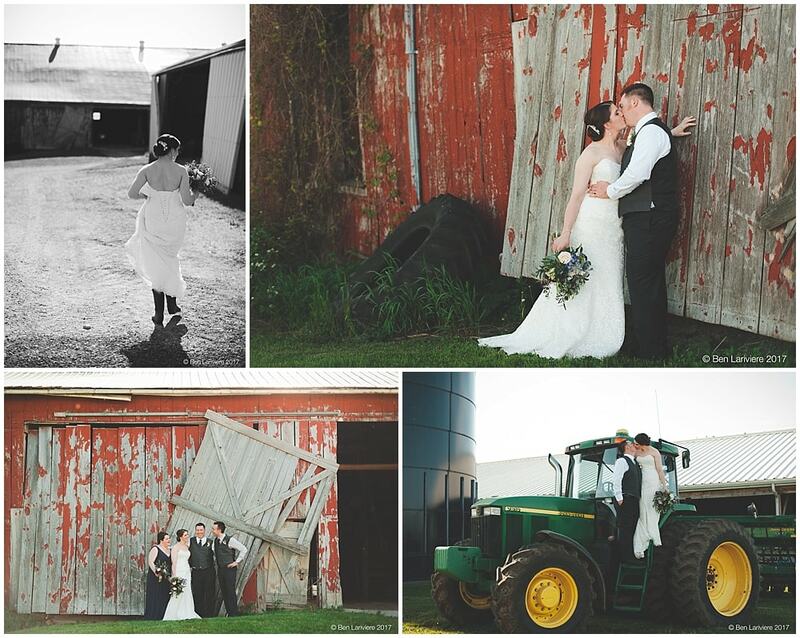 Then, as is customary at a country wedding, more photos by another gorgeous, old barn and farm equipment. 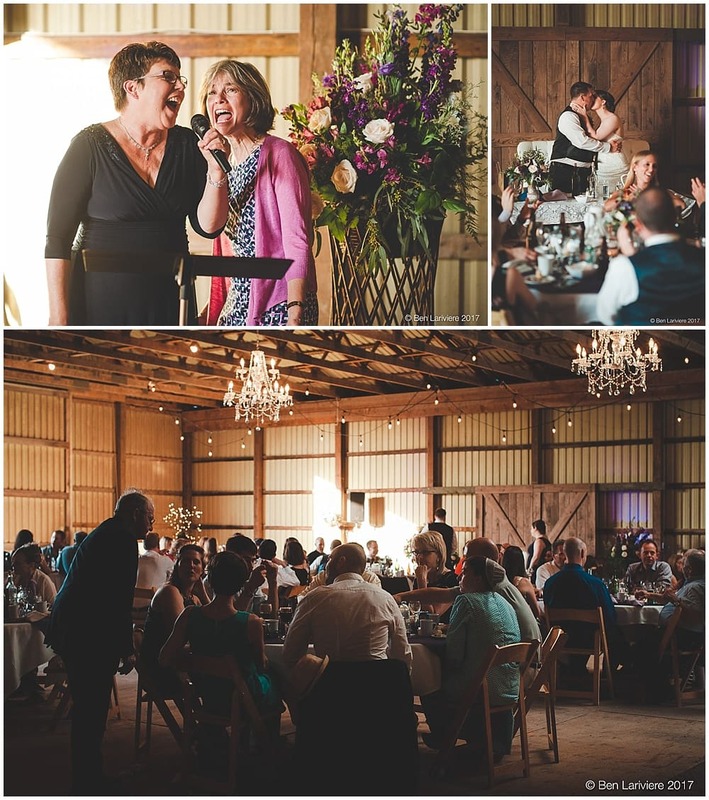 Once we returned to the farm farm, the party was already well underway in the machinery shed, which was decorated with hay bales and chandeliers. 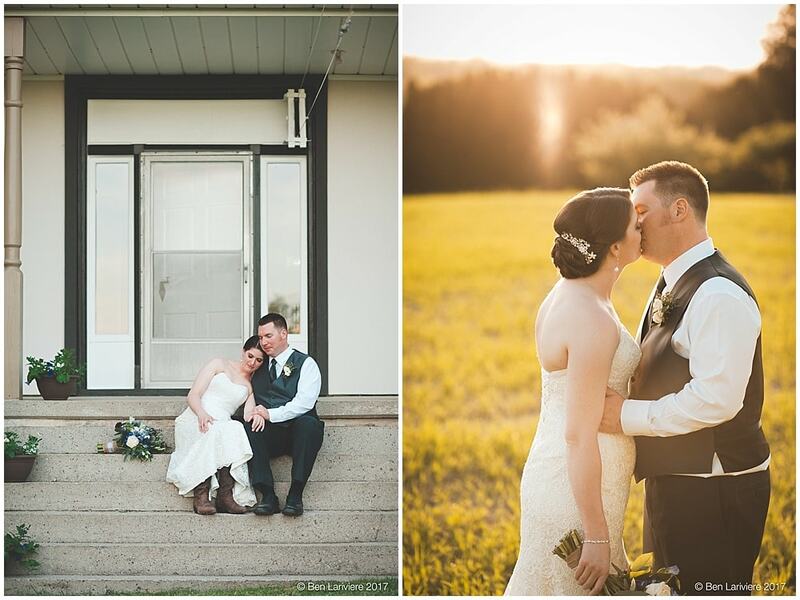 Before the first dance, Becky & Wyatt joined me for one last photo session as the late day sun began to set. 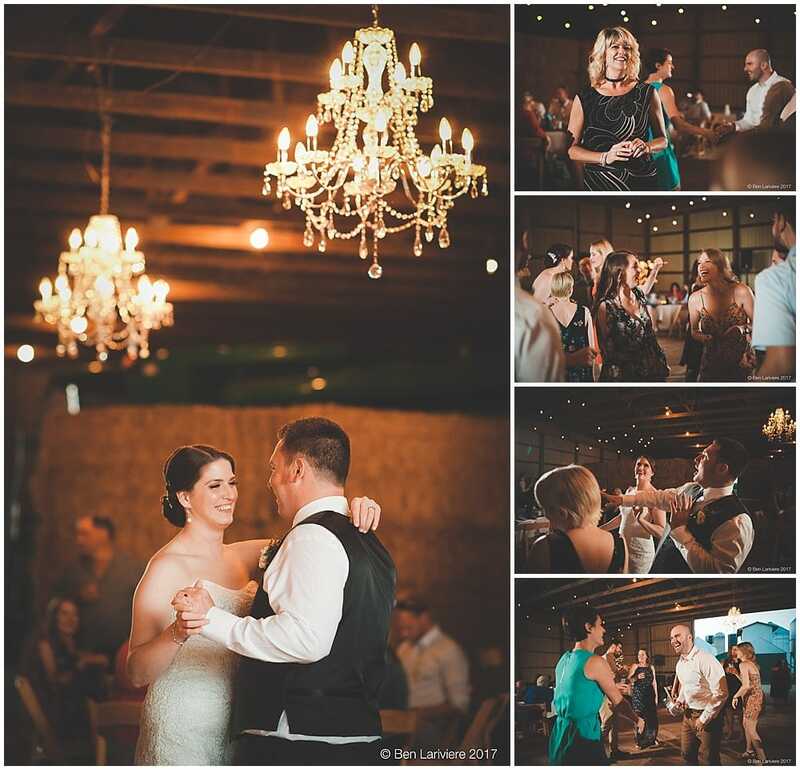 After that, they joined their guests for a night of dancing and fun. 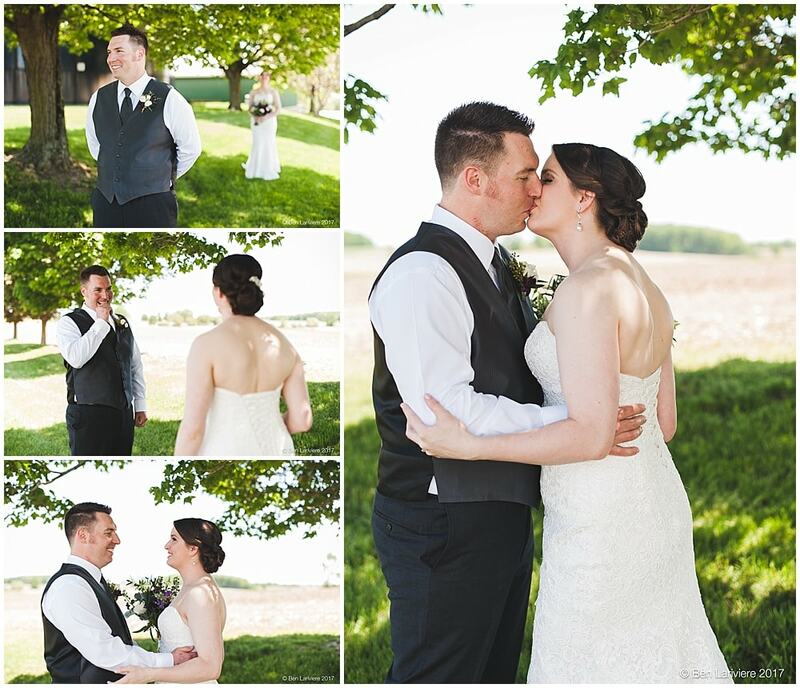 Congratulations Becky & Wyatt!